Ceramic tile is so beautiful when it is first installed, but over time the grout lines become visibly stained and dark. Unfortunately, grout cleaning is a difficult chore and most professional grout cleaning companies know it! 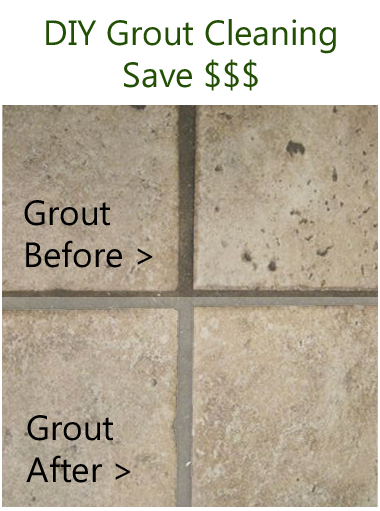 Professional grout cleaning can easily cost hundreds of dollars if you have a large floor space. They bank (literally) on people's lack of know how and frustrations with cleaning grout. My friend Jamie has ceramic tile throughout her kitchen, dining area, and two bathrooms. When her family purchased their new home 7 years ago, the floors were stunning. Over time, the grout began to get dark and splotchy looking, especially in the baths and kitchen. She mopped the floors regularly using only vinegar water and a steam mop, which is the best way to keep tile looking clean without buildup. Despite her best efforts, the grout still turned dingy. She called and got a free quote from a local floor cleaning company and nearly fainted when they told her it would be almost $500. She took on one floor with bleach and a toothbrush. It was backbreaking, nauseating and made the whole area stink like bleach for days. It worked, but certainly was not a viable solution for larger rooms. Since I had a professional background, she asked me if I knew what would help. We decided to take an afternoon and try some experiments. After some trial and error we came up with something that was quite impressive. Keep in mind, I am all about keeping cleaning tasks as green and non-toxic as possible. 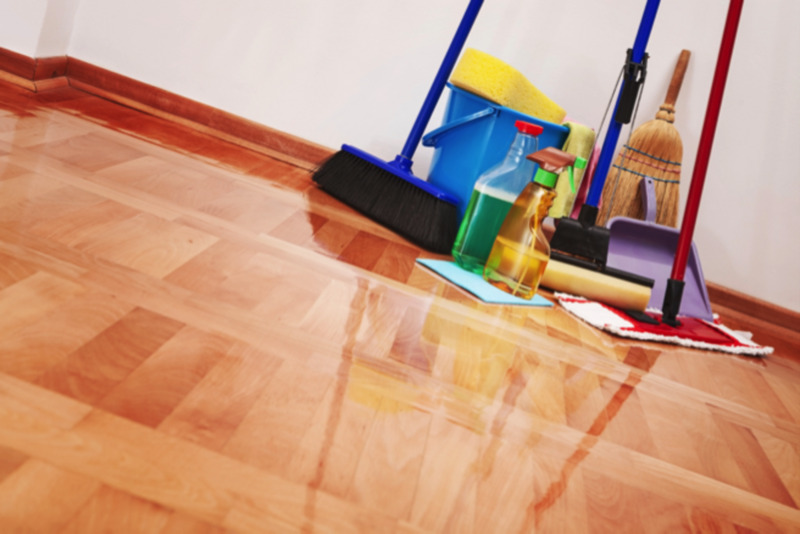 I worked for many years as a professional housekeeper and I know all too well that most commercial cleaning products present many health hazards. Our technique was not fully green, because sometimes you need a little muscle for tough jobs, but it was far less toxic than a room full of bleach and other chemicals – yuck. Not wanting to subject ourselves to the potent fumes of migraine inducing bleach, we decided to come up with our own recipe that would be effective, fume free, and as non-toxic as possible. What follows is the recipe for our mix and tips for making the job go more smoothly, highlighting the mistakes we made and what we should have done differently. Hopefully your floor and/or shower cleaning experience will go much smoother and not take six hours with two people like ours did. Below is how we cleaned the grout and returned it to looking like new. The ingredients are inexpensive, simple, mostly non-toxic, and very effective. *Disclaimer*: Keep in mind you should ALWAYS spot test first before trying any technique and that this method will lighten your grout so it should only be used on white/light grey grouts in the first place. Do not attempt this on dark or colored grouts or you will alter the color! In a bucket we combined a small box of baking soda, approximately 1 cup of Oxiclean, and enough peroxide and lemon juice (2 parts peroxide to one part lemon juice) to make a thin paste. Stir this thoroughly, mixing very well. Wear gloves to protect your hands because this is very drying to your skin. Use a grout cleaning brush (not a toothbrush not as effective) and apply the mixture to the grout only in a small section of 9 -12 tile squares or so. Scrub the mixture into the grout, taking care to not scrub all over the tiles. It won't hurt the tiles if you get it on there, but it's a big pain to scrub off the tile. Allow the mixture to sit for 15 – 20 minutes and then use a steam wand to clean. Keep your paste thin, like watery Elmer's glue consistency and don't apply too heavily for the best results. Go to the dollar store and invest in a garden pad. It is a square foam pad you can throw down on the floor/ground to kneel on. It will spare your knees while applying the paste with your grout brush. You can also use a long-handled grout brush, but I find you get better control and more "muscle" behind applying it with a handheld brush. Try using a steam wand with a grout or jet attachment to power steam through the grout cleaner. The heat of the steam will re-wet and dissolve the cleaner. Wipe off as much of this water as you can immediately. You will need to make a couple of passes with the steam in areas next to walls to remove all of the grout cleaner. Regardless of how much you wipe up, the mixture WILL leave a chalky residue behind around the grout lines of the tiles when it dries fully. It took me several tries with just a steam mop to get this off and it was a big pain. Oxiclean and baking soda do wonders for brightening and stain removal, unfortunately they don't like to rinse off easily with water/steam alone. If you are doing this in a shower you can simply use a sponge and rinse it off the walls with the shower head. On floors however, it can be a bit more tricky. For this job I used my Oreck Steam-it Wand that I absolutely love. It runs around $140 retail brand new. It has multiple attachments and can be used as a wand or mop that can green clean any area in your home from tile, to sealed wood floors, grout, glass and more. The filters are long-lasting and the water tank will clean for a full 35 minutes straight. It is a worthy investment for its ease of use and will ultimately pay for itself. Getting Rid of Residue - Lessons Learned! What I ultimately ended up doing was taking Windex, spraying down the tiles with the dried residue, and then wiping dry with a lint free cloth. The bit of ammonia in the glass cleaner cut right through the residue and took it right off. This only took one time and the floors dried beautifully and residue free. I wish we had done this much sooner than the 4 floor rinses we did with steam and a damp mop. This is the reason I recommend doing the floors one small area at a time and not an entire room at once like we did. It took hours for us to figure out how to get it all off the floor. Ultimately the window cleaner and wiping it off with a dry rag took all traces of the residue off the tile instantly. If you move across the floor, doing small sections at a time, you can get the grout fully clean and not track the dry residue all over the rest of the floor you just mopped. Ahem. - I did say "lessons learned" at the top of this section. Done in small sections at once, this is an incredibly easy, effective and inexpensive way to clean your grout and save yourself hundreds of dollars without a lot of headaches. You'll be surprised how quickly you can do this with steam. The cleaning solution does all the work for you - no heavy scrubbing required. You need to use a steam wand to get the grout fully cleaned and restored to like new (borrow one if you want, but I highly recommend investing in one as they are great cleaning tools to have for many purposes). The next day, once the grout has fully dried, if any spots still look dark or have any remaining white powder residue, wet them with peroxide only and allow that to sit for a few minutes. Go over the grout with a Magic Eraser. This will clean up any spots you may have missed with the scrub and steam. Out of all the floor areas we did, only one small spot in front of the refrigerator looked dingy still when it dried fully. The next day we put the peroxide on and used the magic eraser and it worked beautifully. The steam the day before had mostly done it's job and loosened the grime, this high traffic spot just needed a bit of bonus help. Yes, our method is still a process, but it works very well. I highly recommend applying a grout sealer after you have cleaned the grout to help seal out dirt and lengthen the time between grout cleanings. See your floor manufacturers website or consult someone at a home improvement store for recommendations on sealing. What do you think of Grout Cleaning? Have you ever cleaned grout yourself? Yes, it was horrible and I'll have to do it again anyway because it's too expensive to have it done for me! Other - share your thoughts in the comments below! Try the spray version of barkeepers friend that foams believe it or not. Is it miraculous? No not really, but it doesn't have a scent to speak of and if you leave it on there to sit for several minutes it does make soap scum much easier to wash away. You can shoot it away with the steam then rinse it, or you can use a magic eraser or scrubby sponge to really scrub it out. Good luck! I'd buy it Jeanne :) Thanks for the read and suggestion. I have one fantastic idea..
We do have great ideas for grout cleaners. 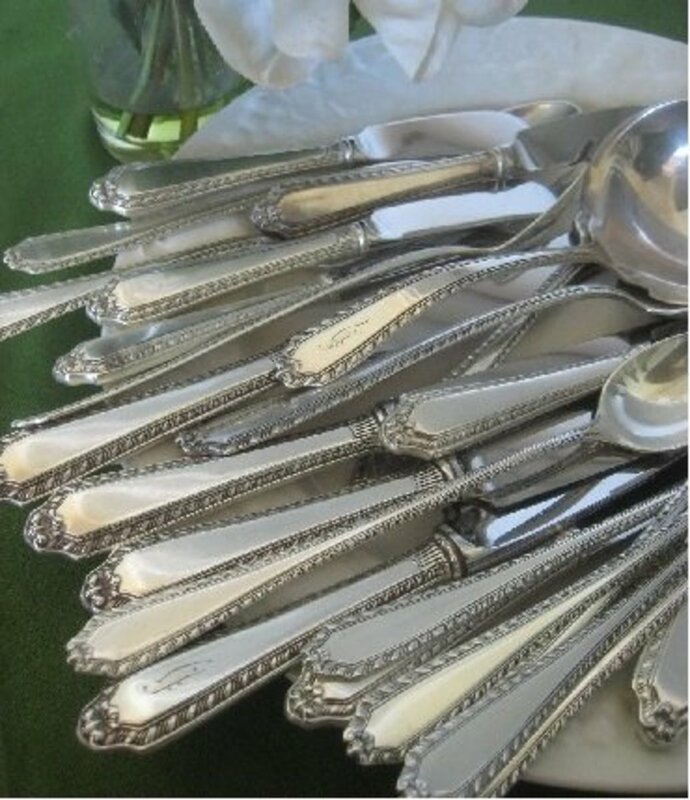 What we don't have is something more powerful then us to do the scrubbing but affordable..
We all realize we are the ones that have to do it. What if you came up with an idea to create a long handle scrubber that works as good as an electric sander..
adjustable speeds if you want " I'm game for full speed" ..
That alone would cut our work down to,less then half.. I can't make one otherwise I would advertise it, but I would love to have one.. I've been trying Epson Salt on my grout. You know it's not to bad. You have a nice scent that goes along with it.. Yes I got a free estimate from a professional grout cleanine person, price was high. It was $400"to clean entry, kitchen,hallway, washroom, back bathroom, one or two bedrooms... I actually felt the price was exceptional fair considering how hard the work is with one scrub brush by yourself and yes I've done it before. Now I'm looking for a miracle for the back shower. I have soap scume I could scrape off with a putty knife.. I've had both hips replaced so I'm unable to stay in a squated position to clean it.. I have to wonderful steamers. One I can take apart and it shoots direct steam out through a small but perfect size whole. Do,you have any miracle product that will melt away the soap,scum and I can take my steamer in and blast it away?? can't we just invent a better grout substitute? 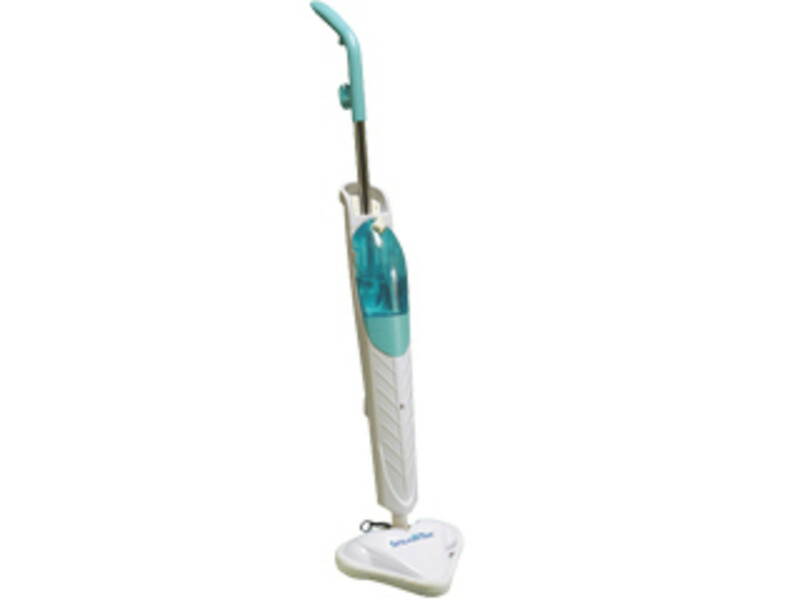 Thanks Sara; I love my steam mop, very easy to use and most helpful. I have tried many ways but can't get all the dirt to come out. I am thinking of buying a steamer to clean my tiles in the kitchen. Thanks for sharing your "recipe" for a DIY grout cleaner. This will come in very handy for me. Thanks for the comment Angela - let me know how it works for you. I just finished cleaning my bathroom tile and toilet with a deadly toilet cleaner that works great at cleaning the grout but the fumes could surely kill you. it's a toilet cleaner liquid bought at the dollar store but i found it works great on tile. 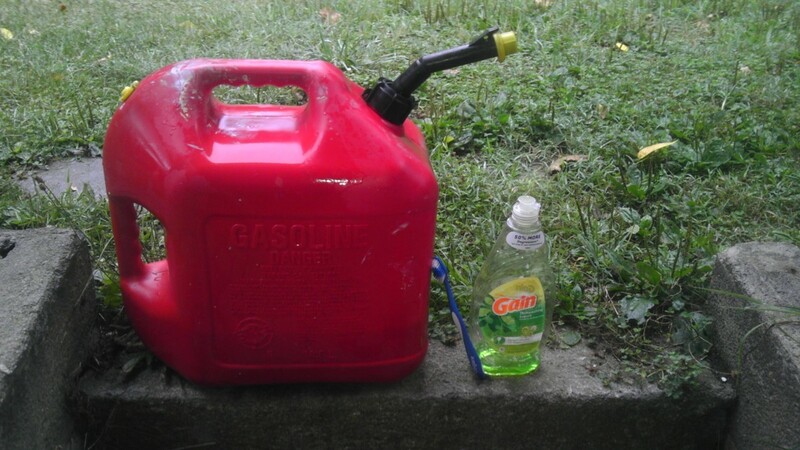 if you don't die frim the fumes first. Anyhow i will try your recipy as it sure seems safer.